How Does the Reverse Osmosis Water Purification Process Work? As water purification technology improves, it can be difficult to keep up with the latest innovations. RO, or reverse osmosis, uses a semi-permeable membrane that uses applied pressure to overcome osmotic pressure. While not technically a filtration method, reverse osmosis removes many different types of ions and molecules from water and other liquids. It can be used in industrial processes as well as the purification of drinking water. The result of the selective RO process is that the membrane doesn't allow large molecules or ions to pass to the pressurized side, but it does allow the pure solvent or water to enter. It is called "reverse" osmosis because technically, because it applies an external pressure to reverse the natural flow of a pure solvent. Most commonly known for its use in making drinking water from seawater, the process is similar to other membrane technology applications. 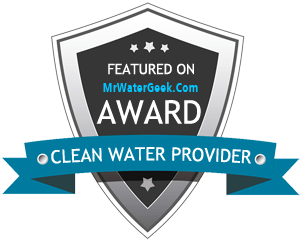 There is little argument that municipal tap water has a fair share of questionable contents, which has led millions of Americans to switch the water they use for drinking and cooking to more trustworthy filtered water. However, buying bulk quantities of bottled water can be expensive and inconvenient. As a result, the option to use a filtered water delivery service has quickly taken off. Easier still is the ability to filter tap water in the home using an advanced water filtration system. With our increasingly hectic schedules these days, many families are seeking a more permanent solution to in-home water filtration; one that provides efficiencies in cost and convenience without sacrificing quality. For your Colorado home, reverse osmosis systems are the cutting edge water filtration systems that provide clean, great tasting water for all your cooking and drinking needs! Recently patented, the RO technology used in this tankless system fits perfectly under your sink. Instead of devoting space to filtered water dispenser in your kitchen, this on-demand reverse osmosis process allows for a continuous flow of pure drinking water without the need for a storage tank. Another benefit of this system is that it only operates based on your demand, delivering crisp, fresh water as required. The Evolution's patented high production membrane uses little energy, but it can easily purify between 75- and 1,500 gallons of water each day. Compared to typical home RO systems, the Evolution-RO1000 offers more than 50 times the output of pure drinking water. Unlike other home purification systems, the Evolution's reverse osmosis technology uses two RO membrane elements in a series, allowing for a higher flow of water. This means that the concentrate from one element is channeled into an inlet at the second element, thereby stopping the flow of water coming in when the system is not in use. Water leaks and seepage are greatly reduced because the system was engineered with the fewest possible connection points, resulting in cutting edge technology and commercial-grade water production in a reasonably-priced home RO system. Of all the water purification technologies for residential use, the Evolution-RO1000 is the most evolved. With a 2:1 ratio of waste to pure drinking water, it saves more water and has the highest flow rates from such an incredibly efficient system. Easy to set up, simple to use and highly efficient you'll quickly wonder how you ever lived without this amazing technology under your sink!